The Universal Periodic Review (UPR) is a cyclical review process that evaluates the status of human rights in each UN Member State very four and a half years. During the UPR, Member States of the Human Rights Council provide specific recommendations to the State under review. 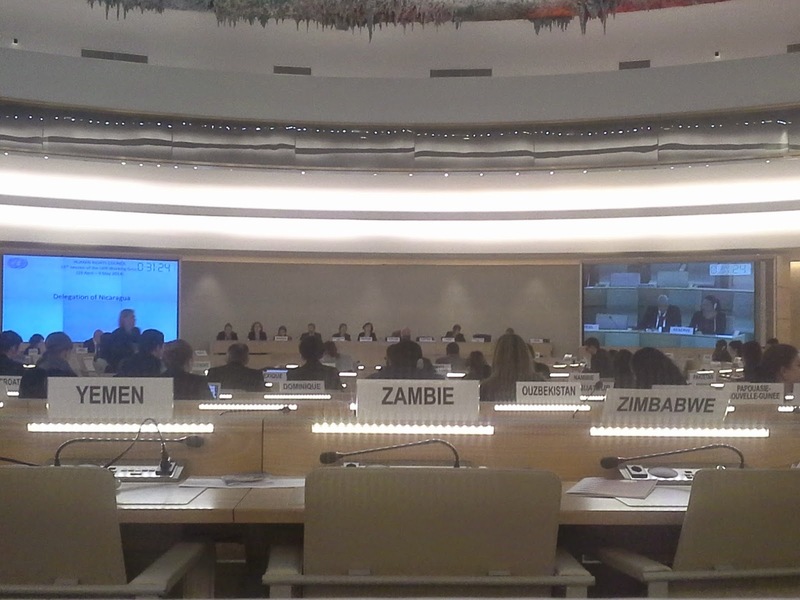 The 19th Session of the UPR took place from April 28 to May 9, 2014 in Geneva, Switzerland. Using the information provided by our local members, IIMA together with VIDES International and other NGOs, contributed to the review processes of the Democratic Republic of Congo (DRC), Costa Rica and Nicaragua. The submission for the UPR of the DRC provided by IIMA focused on discrimination and violence against women and on the children’s rights, particularly street children and children accused of witchcraft. Other important issues raised were the lack of universal primary education, the need for human rights education in public schools, insufficient access to healthcare, particularly for females, violence against children, including sexual exploitation, and child labor. Several Member States provided recommendations on women’s and children’s rights, with particular attention to human rights violations stemming from armed conflict, including the recruitment of children and sexual violence as a weapon of war. The UPR submission on Costa Rica highlighted the extreme poverty that many migrant and indigenous children experience. In regards to women’s rights, IIMA expressed its concerns for the frequent incidences of violence against women, particularly domestic violence and human trafficking. Member States raised the issue of sexual exploitation of women and children and emphasized the need to intensify efforts to investigate and prosecute perpetrators of these types of crimes. Other concern involved school drop-out rates, particularly for disadvantaged children. Information provided by IIMA on human rights in Nicaragua focused on the situation of youth. The report emphasized the need to increase youth participation in decision making processes and the quality of education provided in order to enable youth to freely and fully participate in society. Member States urged Nicaragua to continue its efforts to reduce poverty, fight discrimination against people of African descent and indigenous peoples, eradicate violence against women and human trafficking and ensure universal access to health services. IIMA will continue its work providing information from the field to the United Nations in order to enhance the promotion and protection of human rights for all, especially children and young people throughout the world.